This winter, orphaned children in Moldova will freeze solid in the night, never to wake up again. I found this out in a phone call from a friend, who sent me an e-mail, which directed me to this website, where I learned that I can actually DO SOMETHING about it. Can my little acts ensure no more orphans will die from the cold? No. Can I save at least SOME of them? Probably. 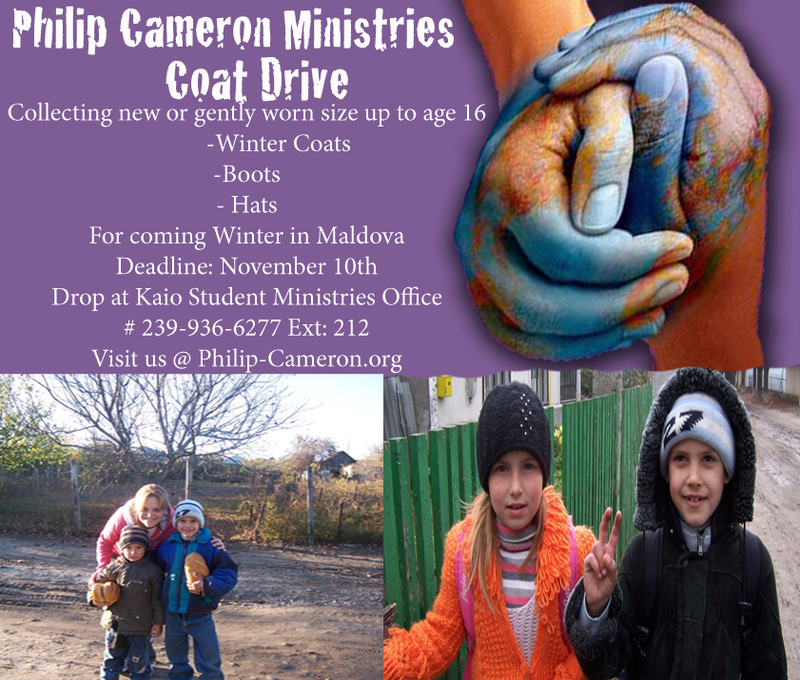 First Assembly’s Kaio Student Ministries is coordinating the coat drive to send clothing (coats, boots and hats) to a ministry to Moldova that is trying to help. We can donate a coat or donate a dollar; every little bit counts. More information on the problem and solution in general can be found here. More info about our local community’s opportunity to help is on the flyer posted below. If you’re a part of Gateway Baptist Church (or are just in the area) you can bring coats by our Gateway offices any time before November 10th. I’ll take whatever we have over to the Kaio offices that afternoon. Will you help, or ignore the opportunity?